"This is the country of madness and death!" said Ceintras, breathlessly. "In coming here, we've taken a great leap into the past. Relics of the Cretaceous period are still alive hereabouts: ancient species have been perpetuated here for millions of years!" 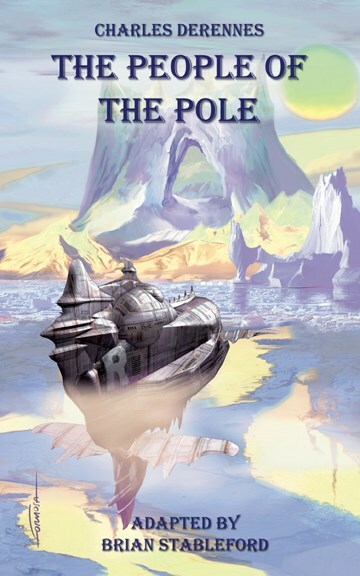 During an expedition to the North Pole, French aeronauts Jean-Louis de Venasque and Jacques Ceintras stumble upon an alien society of technologically-advanced reptilian humanoids living in a secret enclave that has been isolated from the world for millions of years. Charles Derennes (1882-1930) was one of the pioneers of French science fiction who followed in the footsteps of Jules Verne and H. G. Wells. He penned this remarkable Lost World novel in 1907, five years before Sir Arthur Conan Doyle's classic. "The most original component The People of the Pole is that Derennes, unlike Verne or Doyle, makes the assumption that progressive biological evolution would have continued, to the extent that the iguanodons isolated in the remote past would have developed a quasi-humanoid form, along with high intelligence and sophisticated technological capability." Brian Stableford.